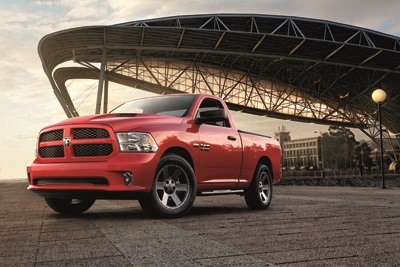 Looking for a used Ram truck or van for your next ride? Stop by the showroom at Country Chrysler Dodge Jeep Ram to explore the entire inventory of vehicles at our used Ram dealership in Oxford, Pennsylvania. Our sales team will go the extra mile to help you get behind the wheel of your dream Ram 1500, Ram 2500, or Ram 3500. Available with a variety of tough, road-tested upgrades, each Ram truck delivers on luxury and performance. If you need a cargo van for your small business, check out the fully equipped Ram ProMaster for simplified city commutes. Come talk to our auto experts today to find the right fit for your lifestyle. Find a used Ram model at your local Oxford, PA Ram dealership. Country Chrysler Dodge Jeep Ram is your go-to used Ram dealership in Oxford, PA. We understand the stress of the car search. That's why we make it our mission to simplify the process. Our website offers up-to-date information about the vehicles we currently have on our lot. You can stop by any day of the week for a test drive and our sales team will be happy to guide you through your options. We even offer certified pre-owned Ram vehicles to ensure you're getting the quality you deserve. From there, our finance experts will help you secure financing that makes sense for your budget. Visit our showroom today to get started. The finance center at Country Chrysler Dodge Jeep Ram is committed to customer satisfaction. We offer straightforward finance options including auto loans and auto leases so you can choose what works best for you. We can also help you calculate your monthly payments and estimate the trade in value of your car. Experience the excellent selection and service firsthand at our used Ram dealership in Oxford, PA.